As part of Geography and our Green Schools project, we have been studying the country of Spain and how Ireland is linked with this country. 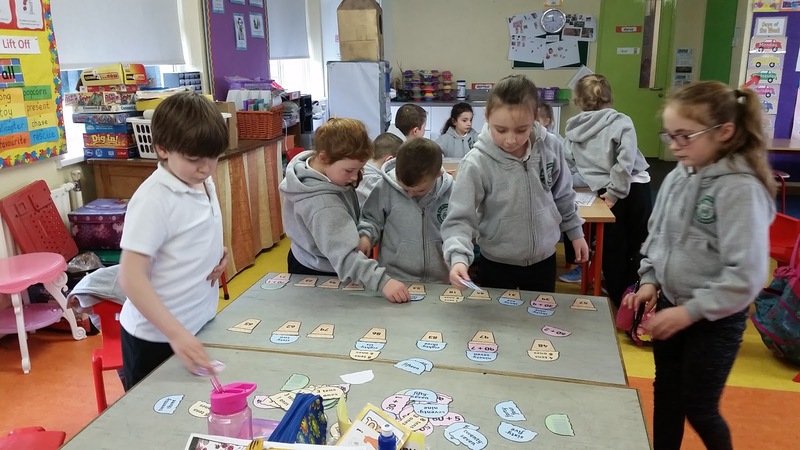 We worked on topics such as weather, food, money, pastimes, festivals etc. 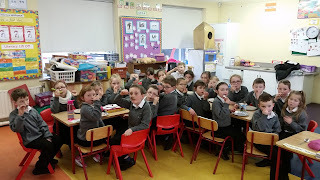 and compiled all our knowledge to make a project. 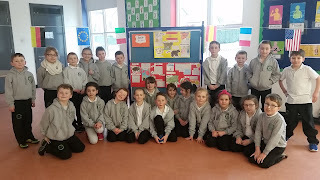 We invited our parents in to see it and to teach them all about Spain. 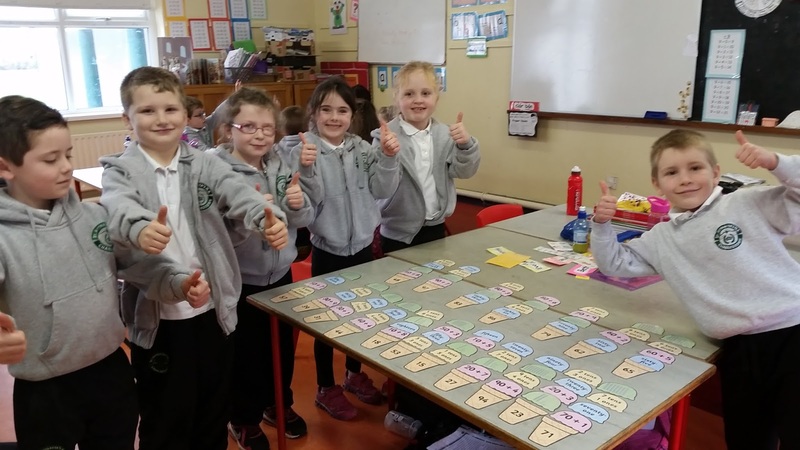 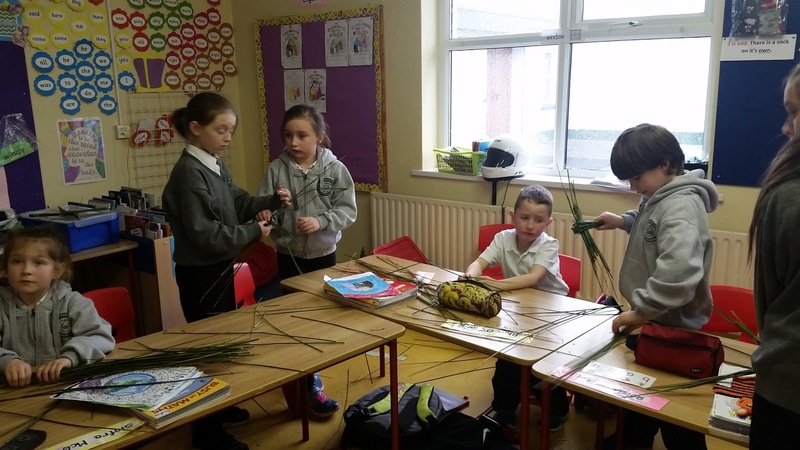 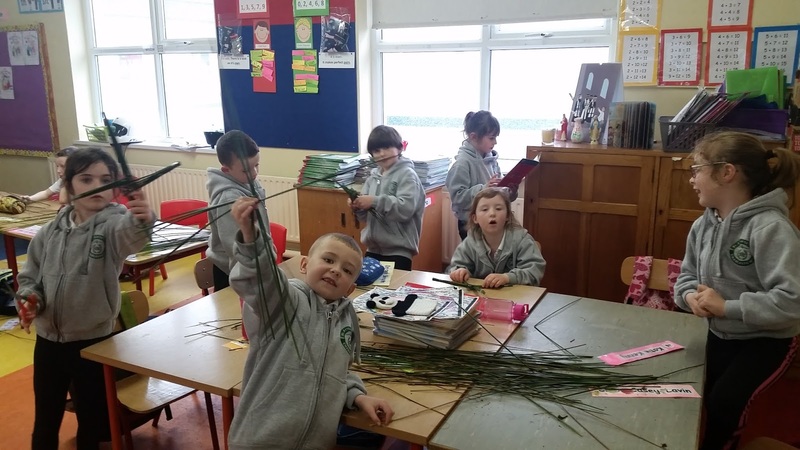 Ghlacaimid páirt sa Féile Scoildramaíochta i gCill Móbhí an seachtain seo caite leis ár dráma 'Na Trí Mhuc'. 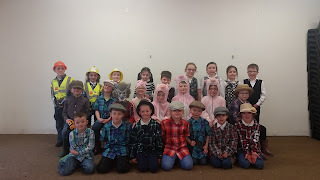 It was our first time on stage outside of the school hall. 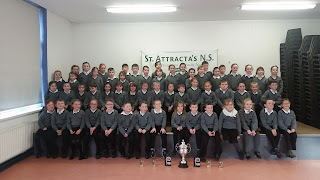 We were excellent and have qualified for the next stage of the competition, in Galway, on March 7th. 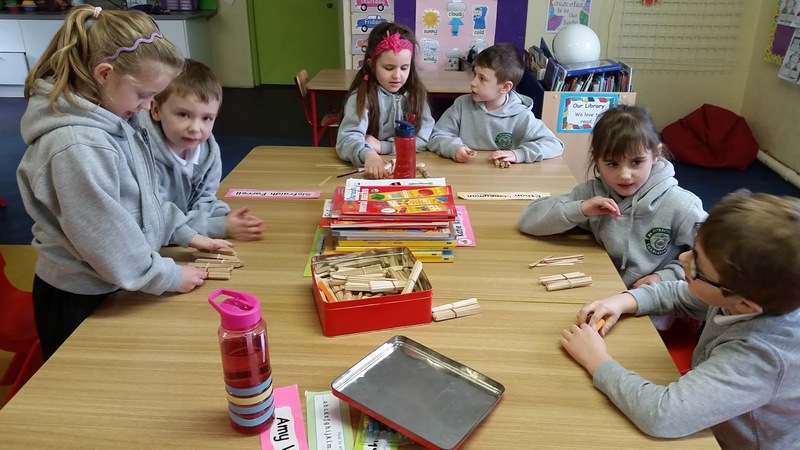 We are busy practising and trying to improve our play by speaking clearly and making our actions even better. 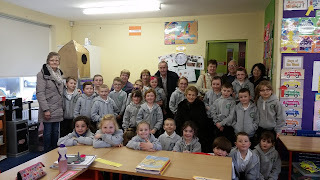 We are looking forward to our trip to Galway. 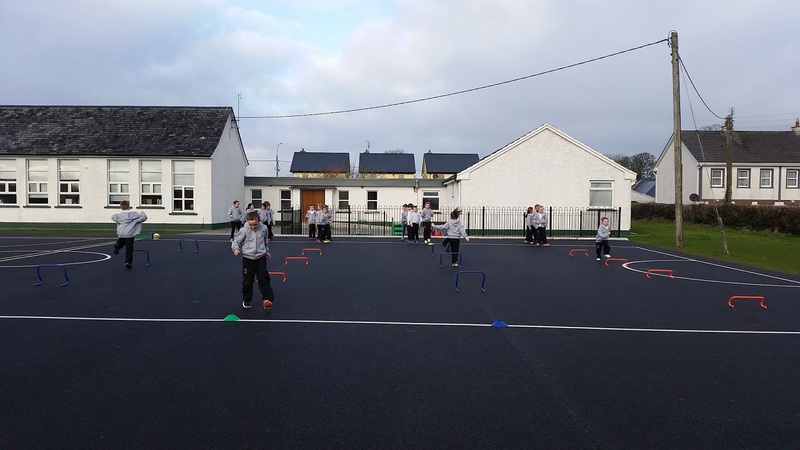 For the past 10 days we have been doing 10 at 10 - 10 minutes of exercise at 10am. 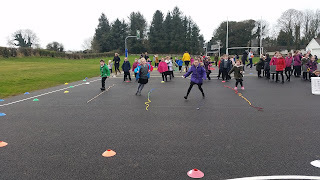 We walk, run, jump, skip, dance etc We enjoy the break between our lessons to get active! 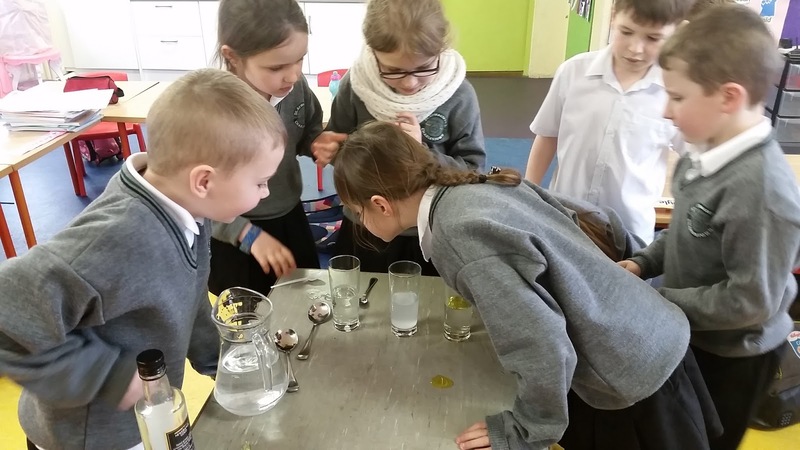 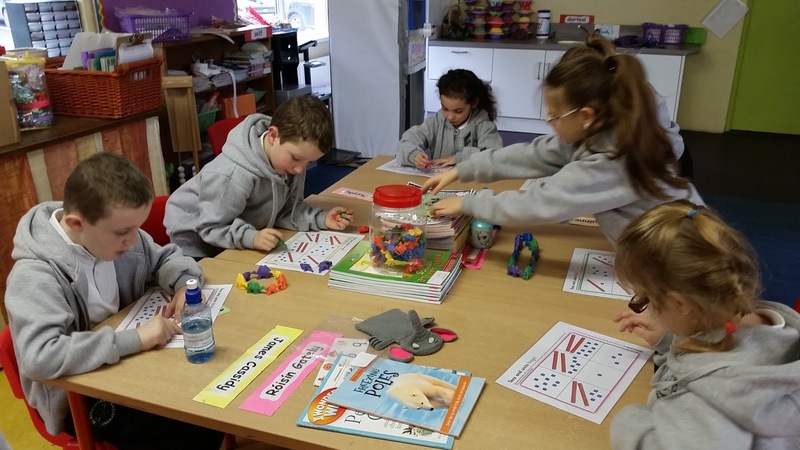 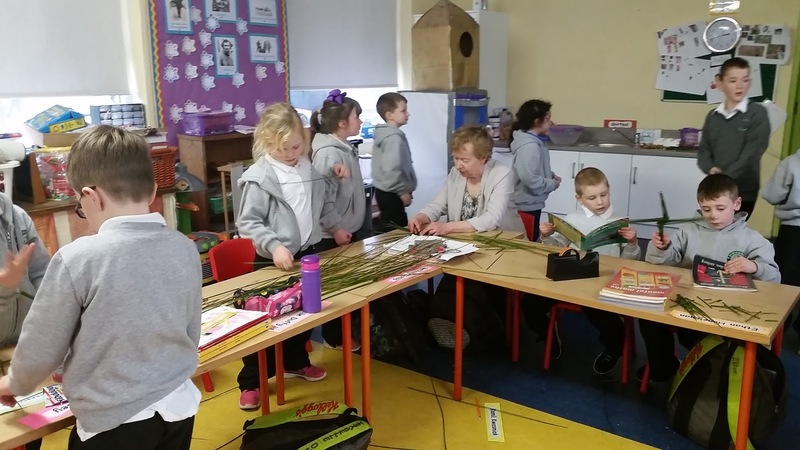 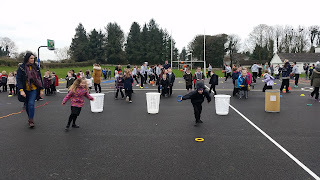 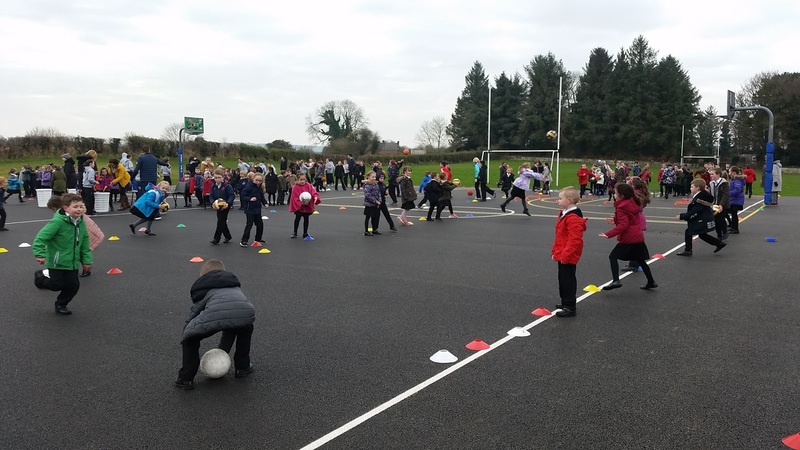 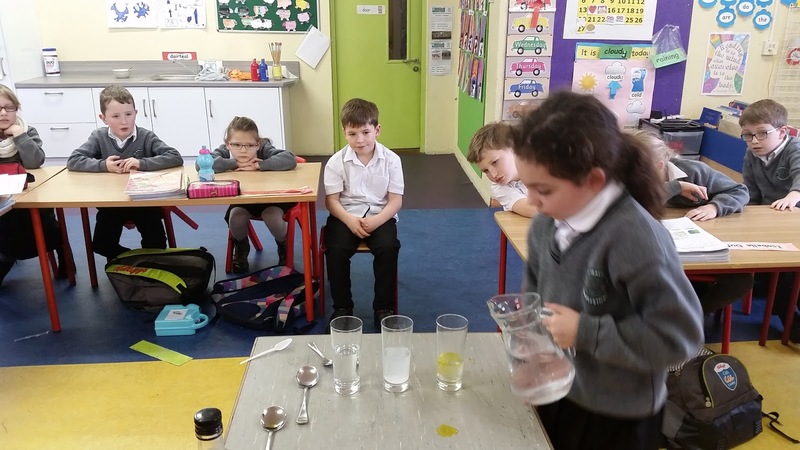 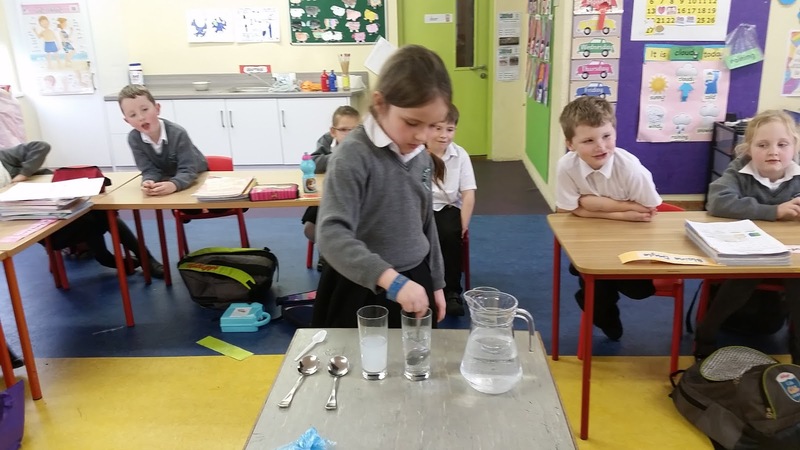 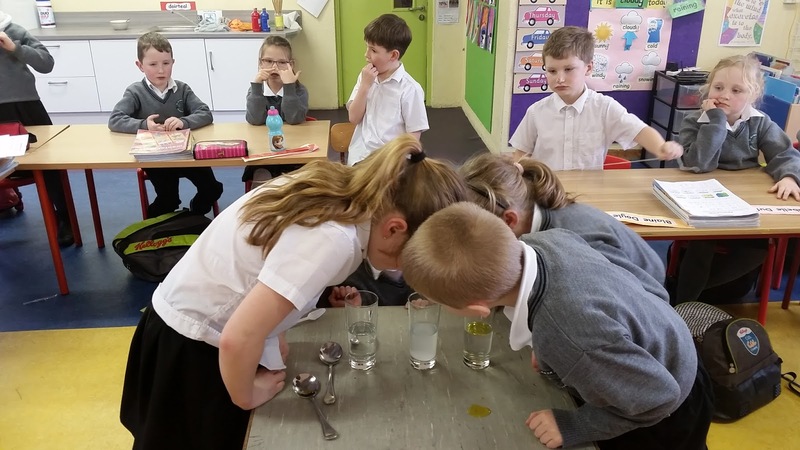 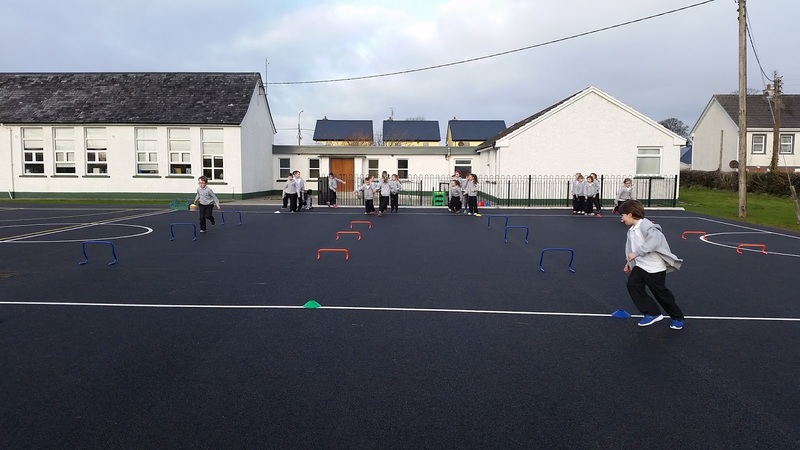 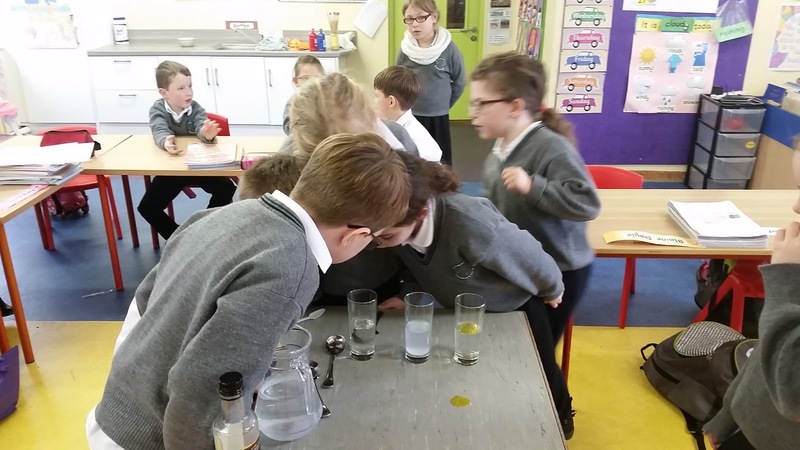 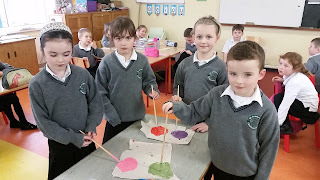 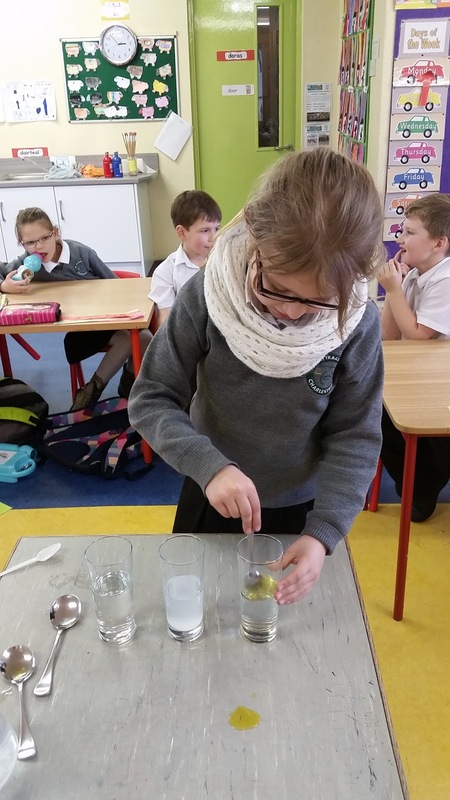 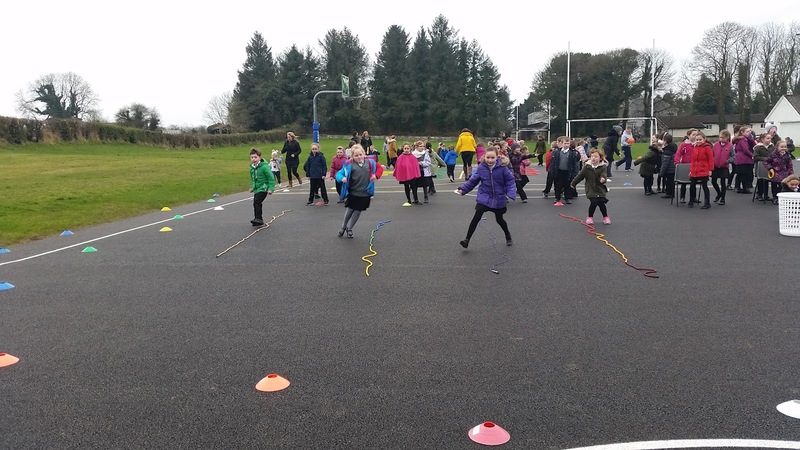 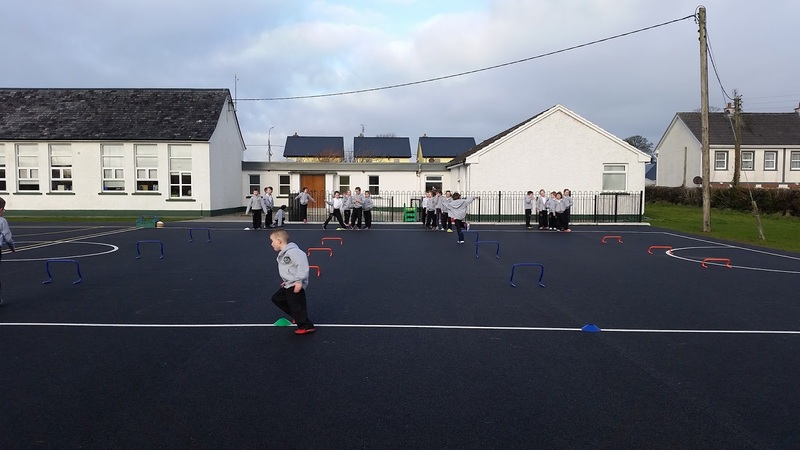 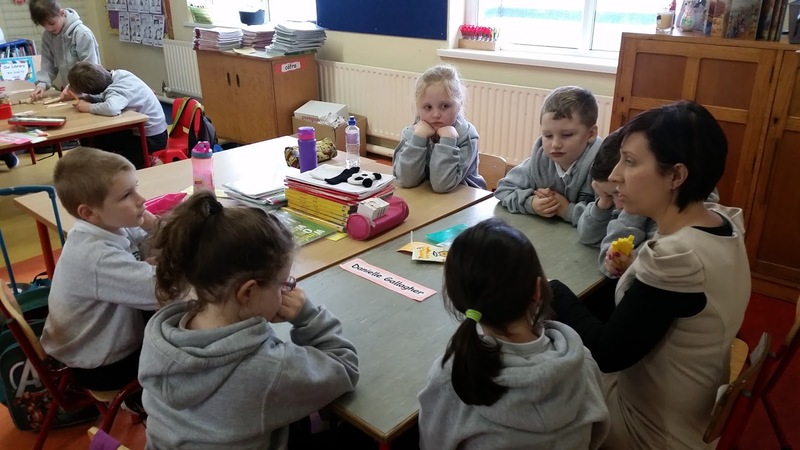 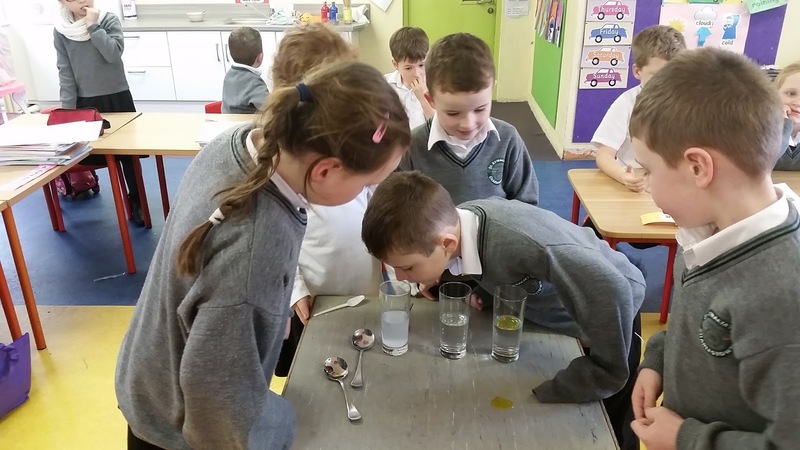 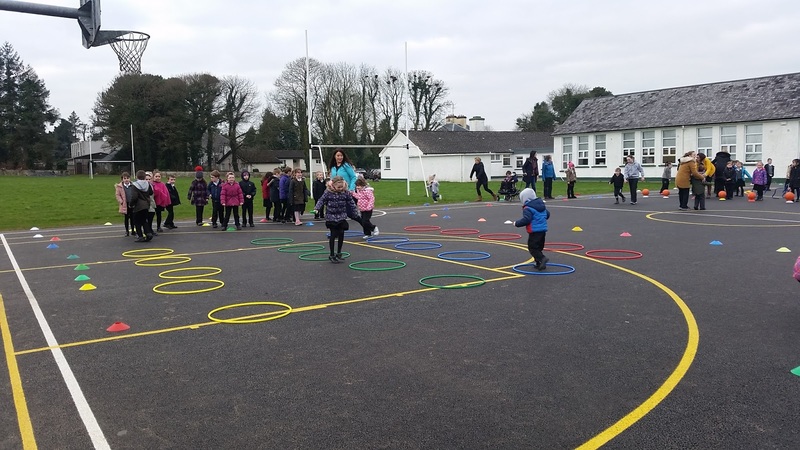 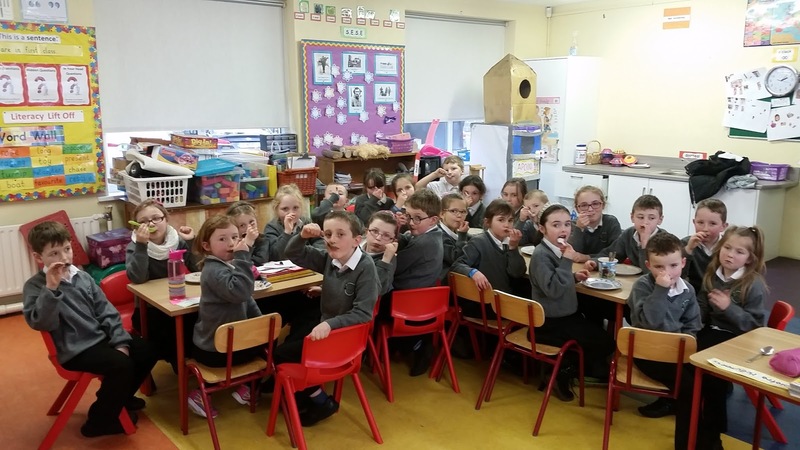 On Friday Feb 10th, most primary schools in Ireland took part in 10 at 10 including us. 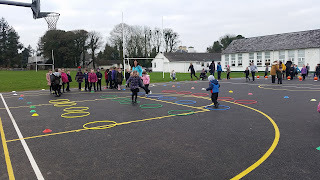 We had stations set up and we had great fun getting active. 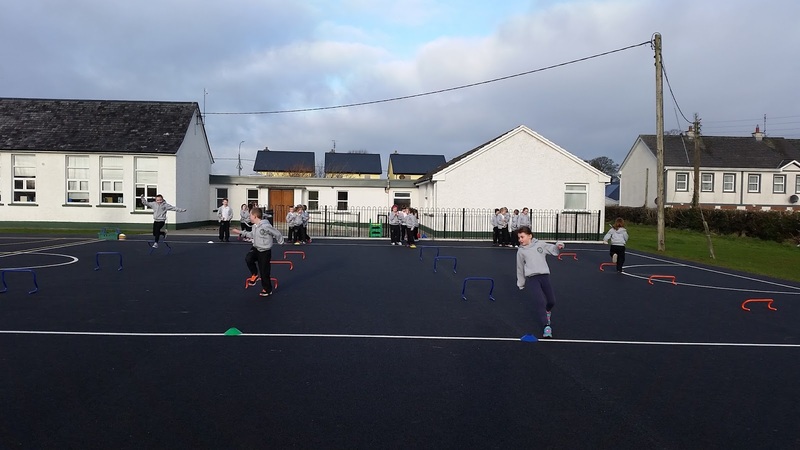 Having fun running over hurdles.